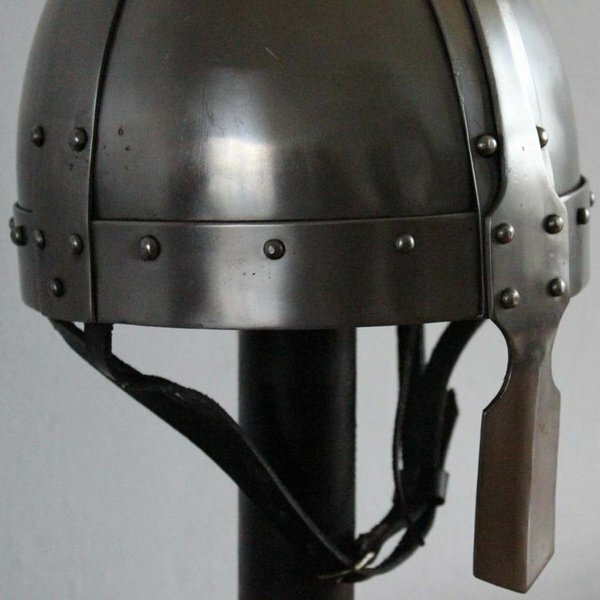 This Spangenhelm is a replica of an 8th century original found in Eastern Europe. Nowadays it is part of the collection of the British Museum in London. 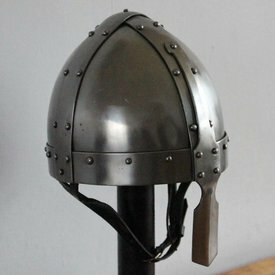 Helmets like this were worn by the Germanic tribes in whole Europe from the 4th century and used until late in the 12th century. 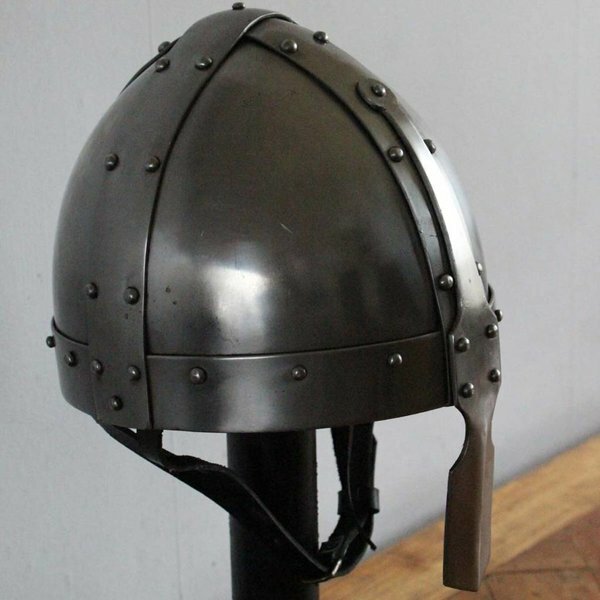 This is a completely battle-ready replica of 2 mm thick steel. Both halves are welded together. The steel straps and the 3 mm thick nose protector (spang) are screwed to the helmet. 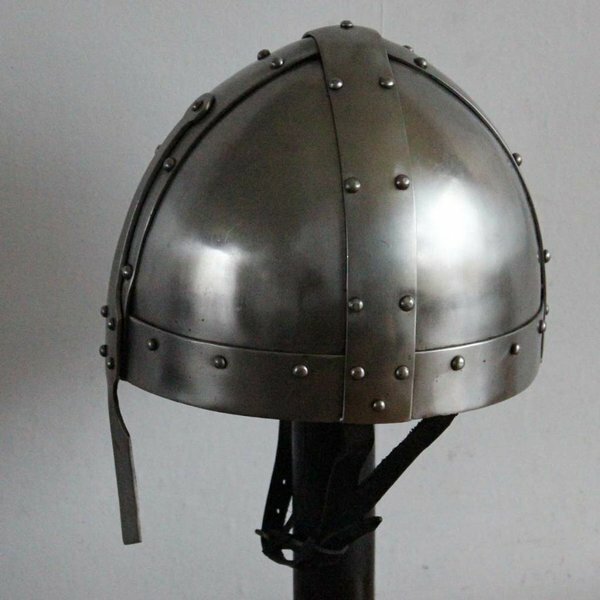 The helmet is delivered including a textile inlay and a chin strap. It is available in two sizes. 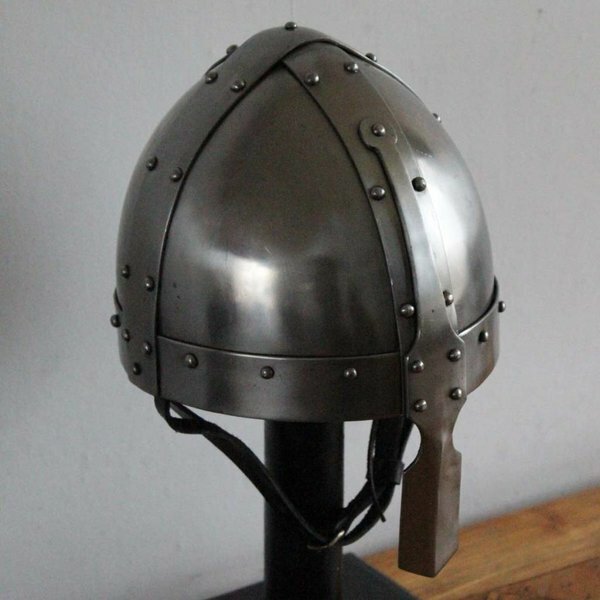 Size S is suitable for a head circumference up to 58 cm. The size M is suitable for a head circumference up to 61 cm. The size L is suitable for a head circumference up to 64 cm. They weigh approx. 2,5 kg.